AMATISTA There is 1 product. 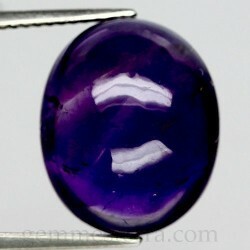 Oval cab amethyst. Weight: 13.20ct. Size: 15.9x13.2x9.5mm. Natural. Not treated. Brasil.